Mrs. Melisa Lynn Tinsley, age 59 of Douglasville, Georgia passed away Tuesday, December 4, 2018. 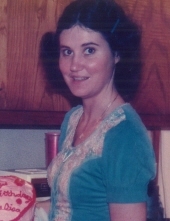 Mrs. Tinsley was born in Villa Rica, Georgia on February 4, 1959, the daughter of the late Olin Alfred Gilley and Lois Ringer Gilley. She attended University of West Georgia where she received her Master Degree. She was a school teacher and a member of Heritage Seventh Day Adventist Church in Douglasville. She loved her family, her church and gardening very much. Survivors include her husband, William "Bill" Elliott Tinsley of 35 years; son, Jon-Michel Aaron Tinsley of Douglasville; three aunts; one uncle and several cousins. Besides her parents she was preceded in death by her sister, Sheila Gilley. Funeral service will be held Friday, December 7, 2018 at 11 a.m. from the chapel of Almon Funeral Home with Pastor Sam Ball officiating. "Email Address" would like to share the life celebration of Melisa Lynn Tinsley. Click on the "link" to go to share a favorite memory or leave a condolence message for the family.